Is Additional Water Filtration Necessary? Water is essential for life, as an average our bodies are composed of approximately 60% water. We need water to flush out toxins, regulate our temperature and protect our body tissues. Many of our critical chemical reactions rely on water, and a loss of only 2% can cause us to become dehydrated. Many people rely on their water suppliers to clean their water and make it safe to drink. Others make a decision to add extra water filtration to their homes to clean and purify the water further. Is this really necessary? Let’s find out. Our public and private well water supplies are sourced from waterways and aquifers. Sadly, the water sources have become polluted, and it is now unsafe to drink from them directly without some form of water treatment. If you have a private well, you are solely responsible for the quality of your drinking water. If your water comes from a public water supplier, they will carry out disinfection and purification to make the water safer to use. Unfortunately, many public water suppliers don’t treat certain contaminants, and the supplied water is not as clean as it could be. In the past, water could be easily purified with some basic charcoal filtration and a roiling boil to kill off any bacteria or germs. This is no longer the case in many areas, now there are contaminants, such as pesticides, heavy metals, parasites and pharmaceutical byproducts, present in our water. These contaminants can only be removed with specialized water filtration equipment installed in your home. To illustrate this point, a 2009 University of California study found that people drinking water from a reverse osmosis filtration system experienced 12% fewer incidences of gastrointestinal illnesses compared to others drinking regular unfiltered public water from the tap. This is why some people prefer to install their own water filtration systems as an extra layer of protection to ensure that their water is clean and fresh. Filtered water will deliver better tasting water with no discernible odor because of any contaminants, such as bacteria, chlorine, chloramine, heavy metals and chemicals. A point of use water filtration system located under the kitchen sink can remove lead to make your drinking water safe. A countertop water filter can deliver clean drinking water without resorting to plastic bottles of spring water that are not environmentally friendly. A water filtration can protect your family against over 2,000 known toxins that can be present in your drinking water. A carbon water filter system can remove toxic contaminants without removing the healthy mineral content, and this can help to keep the pH balanced. Studies have shown that water filtration can reduce the risks of certain types of cancer, such as rectal, bladder and colon cancers, by removing chlorine and chlorine byproducts from your water supply. 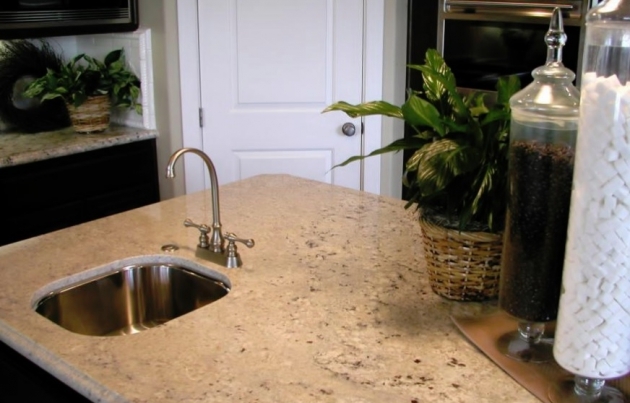 As you can see, there are many great reasons to install a water filtration system in your home. If you want to learn more, contact a local water treatment professional for expert advice.